In honor of Edward Abbey's birthday, we're celebrating his cult classic book The Monkey Wrench Gang—not as a guide to sabotage, but as a guide to some of the Colorado Plateau's most spectacular places. Here we retrace the steps of George Hayduke, Seldom Seen Smith, Doc Sarvis, and Bonnie Abbzug in their crazy chase around the plateau. He led her out on the terrace of the lodge and showed her the high rim view of the Grand Canyon of the Colorado. "See one Grand Canyon you've seen 'em all," he agreed. When Hayduke and Bonnie journeyed to the north rim of the Grand Canyon, they made a pit stop at Jacob Lake for pie, camped on the rim, and explored Cape Royal, Point Imperial, and Point Sublime—the classic North Rim experience. Despite the Monkey Wrenchers' blah reaction, the Grand Canyon has a grand reputation. Your reward for driving the extra 212 miles to the North Rim includes secluded forests, alpine meadows, and less-crowded trails into the inner canyon. The North Rim opens May 15, so start planning your trip now! Widforss Trail: The trail goes around the head of 4,000-foot-deep Transept Canyon, through a typical North Rim forest, and ends near Widforss Point. North Kaibab Trail: A strenuous hike that drops through several rock layers and provides a glimpse of what it’s like to hike in the inner canyon. Ken Patrick Trail: This section of the Ken Patrick Trail, between the road to Cape Royal and Point Imperial, goes through pockets of pine, fir, spruce, and aspen as it follows the rim above Nankoweap Basin. Hell of a place to lose a cow. Hell of a place to lose your heart. Hell of a place, thought Seldom Seen, to lose. Period. From the San Rafael Swell’s uplifted flanks, Seldom Seen Smith looked across the maze of canyons, the five peaks of the Henry Mountains, and the dark gorge of the Dirty Devil River and realized what was at stake. Ding & Dang Canyons: Combine these two sister canyons for a semi-technical loop hike through the San Rafael Swell. Hike up Ding, skirt Ding Dang Dome, and return down Dang. Now that’s a tongue twister! Bell and Little Wild Horse: A loop route connecting two beautifully sculpted slot canyons. One of the most popular hikes in the San Rafael Swell. Chute Canyon: A textured slot canyon in the San Rafael Reef is a rock playground, perfect for a game of hide and seek—canyon style. I mean this country, it’s mostly stood on edge, honey. Some of it you can stand on but most of it goes straight up or down. You can get boxed in or rimmed up pretty easy. Which means that usually the long way around is the shortest way. Usually the only way. As the Monkey Wrench Gang can attest, route-finding in canyon country defies logic. You go up to go down, west to go east, hike 10 miles to go one. The Maze District of Canyonlands National Park is the perfect place to get lost, whether you're trying to hide from Bishop Love or just want to escape your 9-5 job for a few days. And so why are we losing these marvelous, magical places? Wasn't that the The Monkey Wrench Gang was about? That is, the ultimate consequences of "expand or expire" economic growth? Perhaps we should be saying to people, hike these places while you can. That's sure what Cactus Ed was saying. 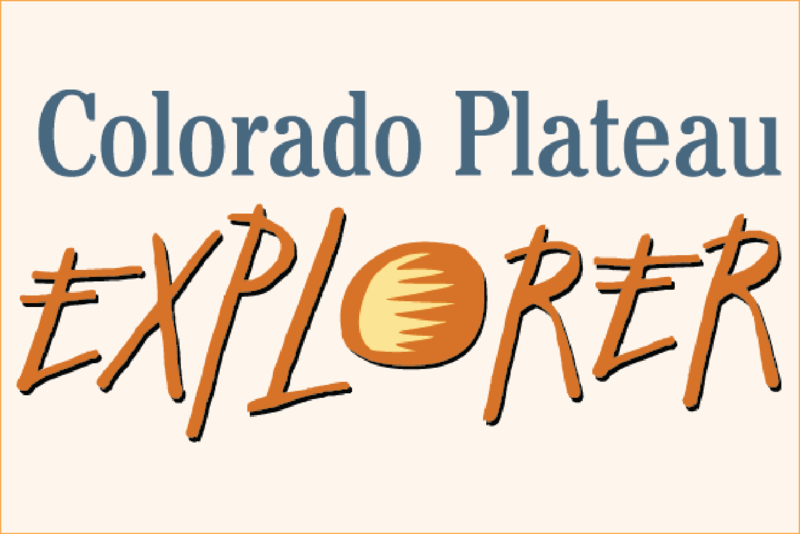 Check out the Colorado Plateau Explorer for more hikes!